In September the globes embedded in goldenrod stems are undergoing a special process. The bug inside each one is getting ready for winter. 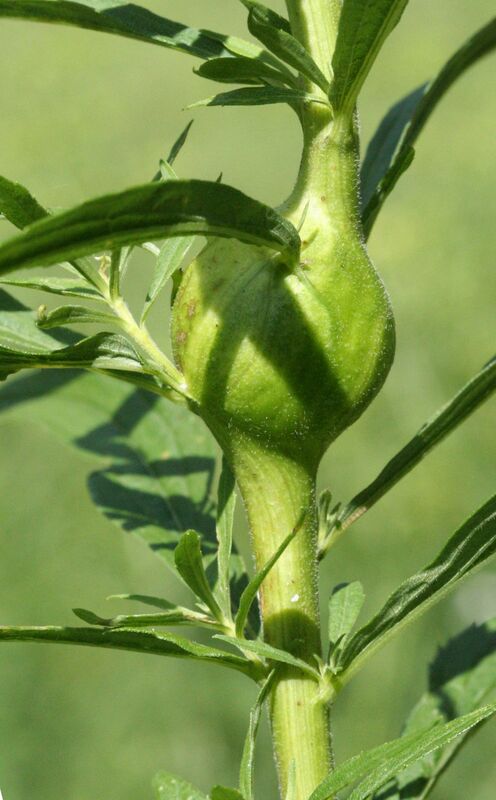 Since the goldenrod gall fly uses only a couple of species for hosting its eggs, the gall helps you name the plant. Goldenrods are notoriously difficult to identify but I’ve heard that in western PA most of the flies lay their eggs on Solidago canadensis. 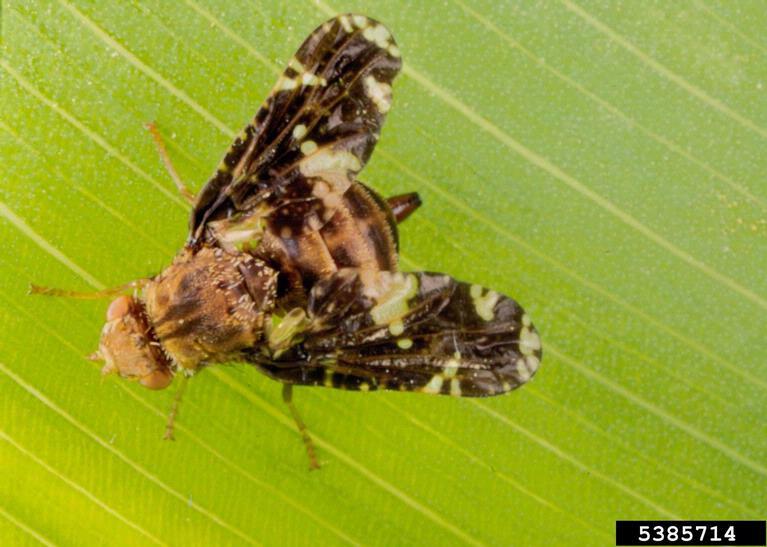 An adult female fly is shown below, much larger than real life. She’s slightly bigger than a housefly. In the spring she uses her sharp ovipositor to insert her eggs into goldenrod stems near the developing buds. When the eggs hatch, each larva chooses a place to rest and eat. Its saliva contains a chemical that induces the plant to grow a gall which becomes the larva’s food and shelter. The larva molts twice and overwinters inside the gall, surviving even the coldest winters because it has “anti-freeze” in its body. In September the larva prepares its exit strategy, even though that won’t happen until next spring. It digs a narrow tunnel to the outside that doesn’t break the surface. Next spring when it becomes an adult, the fly will chew a hole in the outer cover to escape. Not all of them make it. 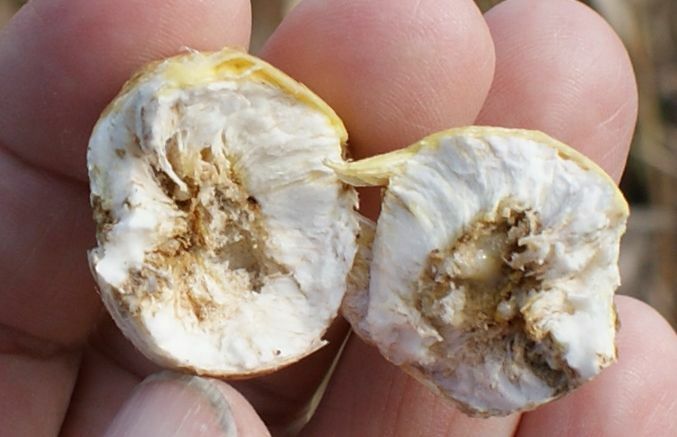 During the winter downy woodpeckers and chickadees probe the galls to eat the bugs. 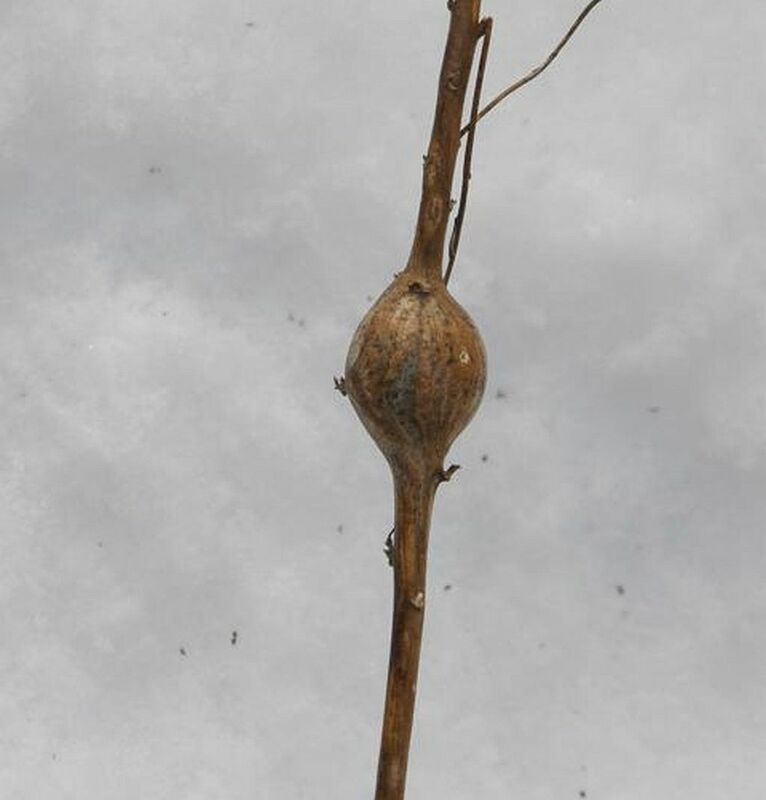 Read more about the goldenrod gall fly at the University of Wisconsin Master Gardener Program.